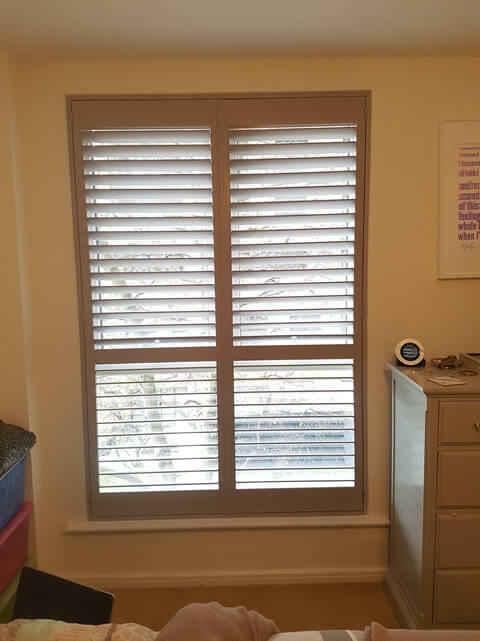 One of our Fitting Technicians Mark was in Acton an area of Ealing, West London to fit some shutters for the Kitchen, Lounge and Bedroom of a flat. 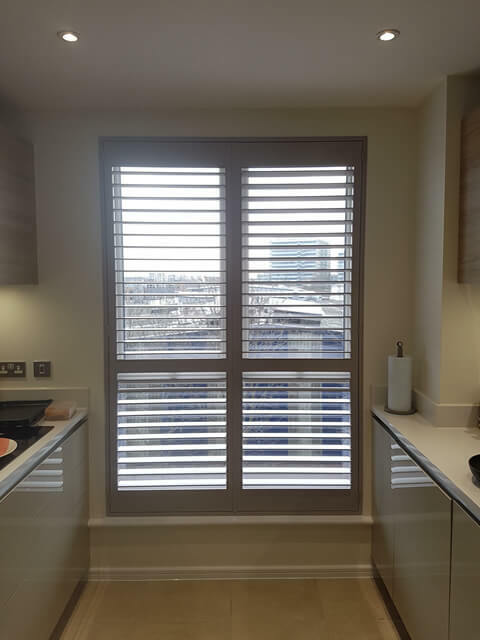 We regularly fit our shutters to houses, flats, apartments and business properties all over London with clients looking to have the ultimate window dressing created for their home! This client was looking to get the most out of the views from their apartment while also maintaining a degree of privacy due to the neighbouring flats opposite. 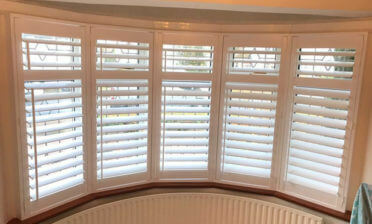 By fitting all the shutters with a mid-rail the customer can create the perfect mixture of views, lighting and privacy by adjusting the top and bottom sections independently. 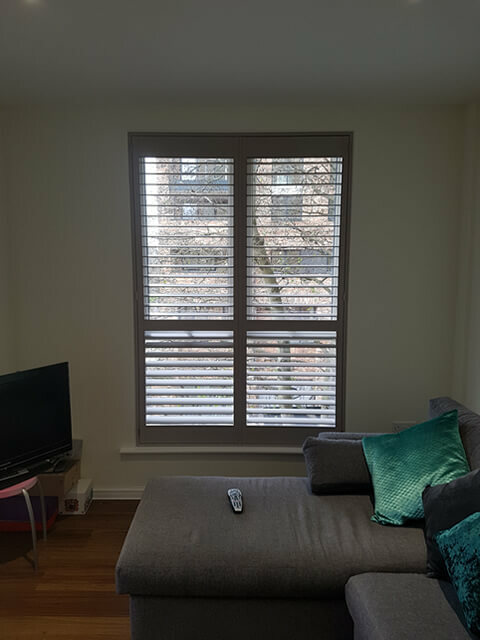 This full height style combined with mid-rail has been duplicated over all windows so that they match perfectly throughout the flat. The mid-rail was placed to match the location of the window divide. 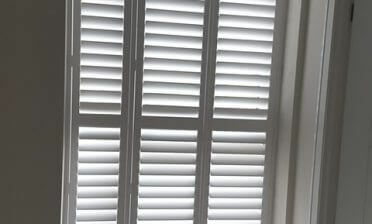 The shutters were created from our Antigua Range and are made from MDF and feature hidden tilt rods, creating a clean modern look in all rooms. 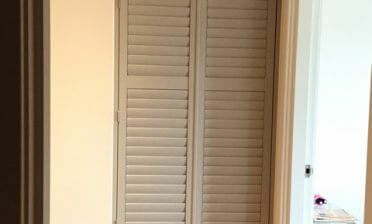 We finished the shutters in a lovely Sea Mist colour which really works perfectly in the Kitchen, as well as the other rooms.